I had a different post lined up for today. Life happened, and I felt inspired to write about something else. A friend, former wedding colleague recently reached out to me about her daughter’s recent development prognosis. She was diagnosed with speech and gross motor skill delays with immediate referrals for speech and occupational therapy. It all felt like déjà vu. My heart sympathized for her. It felt like the very day I received the news. The emotions felt fresh. 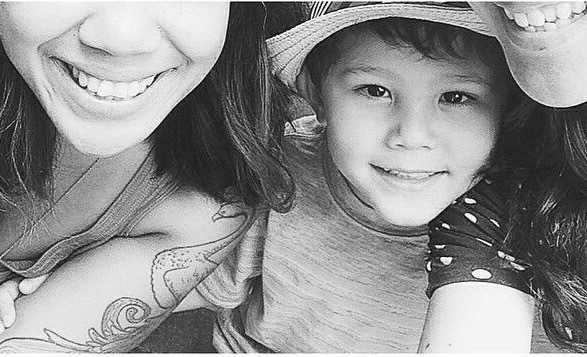 Very much like my friend’s experience, Deacon also faced speech and gross motor delays along with a diagnosis of Sensory Processing Disorder [SPD]. to have in your SPD household!! 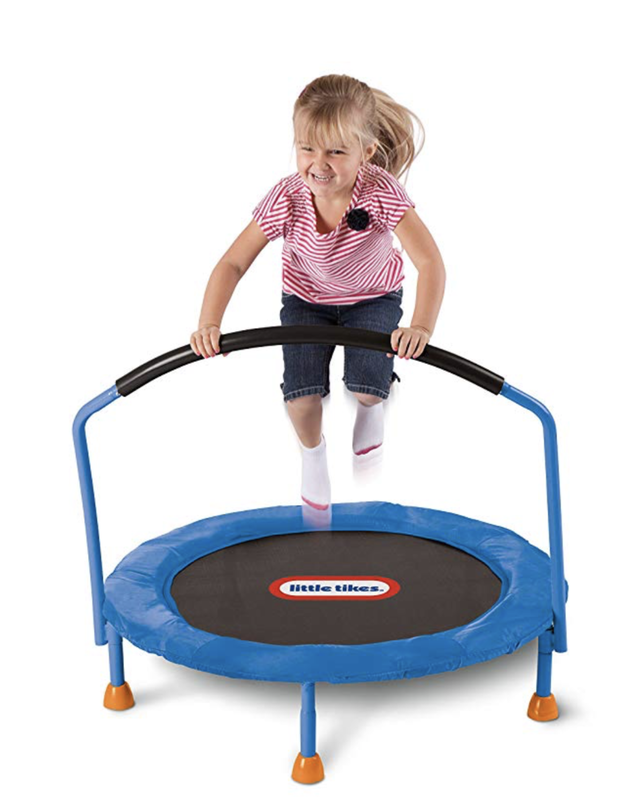 A small indoor trampoline was our first major purchase and by far, has been the most used piece of equipment at our home (even today). Trampolines are amazing and (practically) all kids LOVE them. For a child that needs to develop gross motor skills THIS WAS WORTH EVERY PENNY! We still have the initial one we bought Deacon 4 years ago!! Luckily, we were gifted with a large outdoor trampoline so it’s been great being able to have an indoor and outdoor solution. Body regulation [aka calming his body]. Deacon enjoyed sitting atop the stability ball and simply bounce on it. It would teach him how to sit on the ball with proper posture, develop his core and provide him the sensory input he enjoyed from bouncing. During difficult behavioral outbursts I would also use the ball to roll over his body as he laid flat on a play mat. The applied pressure to his body would sooth him and help regulate his body. What kid doesn’t like to tumble and roll? Deacon surely does but after converting all the carpet to wood, in our prior home, we needed to make his space safer. My favorite gym mats are from IKEA. They’re extremely cost effective and easy to store. The mats fold like an accordion so they were quick to put away. When the mats are folded they are great to stack on top of each other to build obstacle courses and forts. 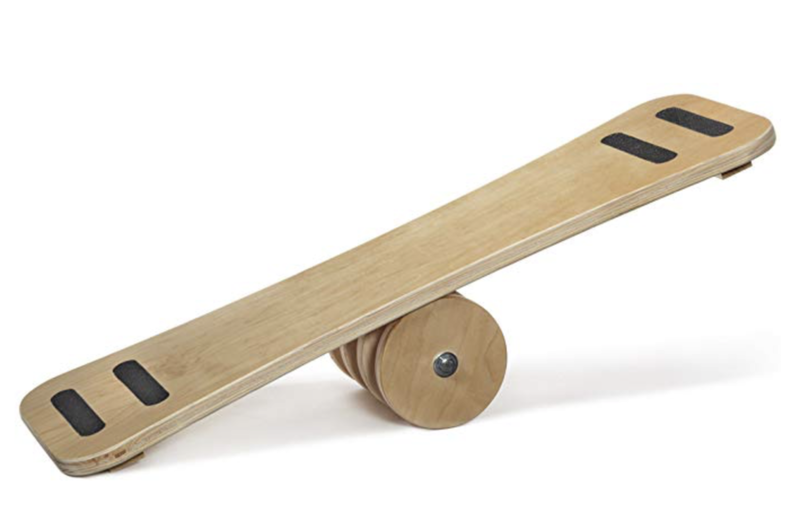 They provided endless amounts of fun and versatility. Our favorite thing to do (and still do) are build obstacle courses. An obstacle course wouldn’t be complete without a tunnel (duh). Once again, IKEA is here for the win. 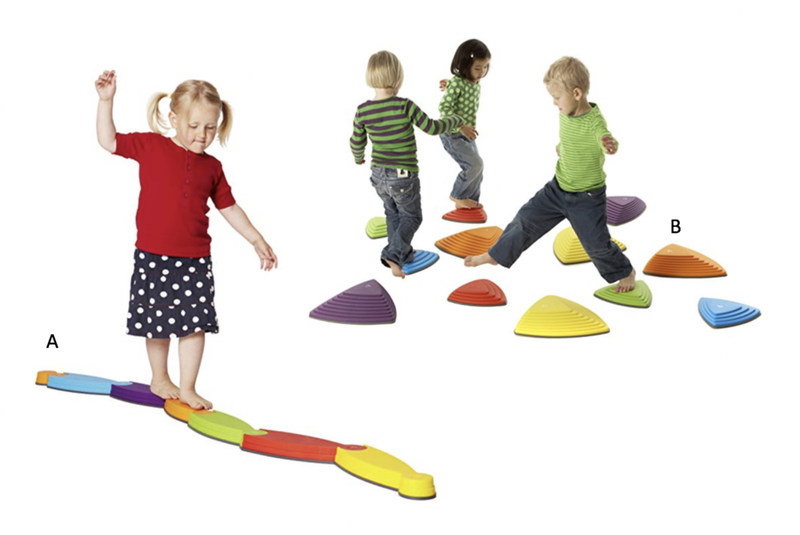 Their play tunnels are great because you can purchase a series of mats at an affordable rate and connect them all together. The tunnels also became useful when playing hide and seek with friends. Motor planning and sequencing is a factor that we have and continued to work on. It is why we often create obstacle courses so frequently. We loved the Gonge Riverset and Riverstone set. They work great developing his motor planning along with balance. They can be used independently but incorporating other Gonge components made the obstacles much more fun! We were fortunate that our home in Vancouver already had a play-set that included a slide. One thing I learned from OT was that slides weren’t just about sliding but the adventure that came in climbing. The action of climbing up is a great way to activate his whole body, engage his core and further strengthen his gross motor skills. TIP: if you have a small indoor slide, like this, these make for great components to also integrate into your obstacle courses. The attached slide image is probably what I would have purchased. It has a hose component at the top of the slide that turns it into a WATER SLIDE. I could only imagine what great summer fun could have had with this. Definitely, on my wish list for next summer! I wish I knew about this AMAZING thing sooner. It’s only been a year that Thinking Putty has been a part of our household. In the past, we’ve played with a lot of Play-Doh or Thera-putty. They all would eventually dry, crumble or the texture would irritate Deacon. During a road trip I saw a canister and the assortment of colors they were available in. 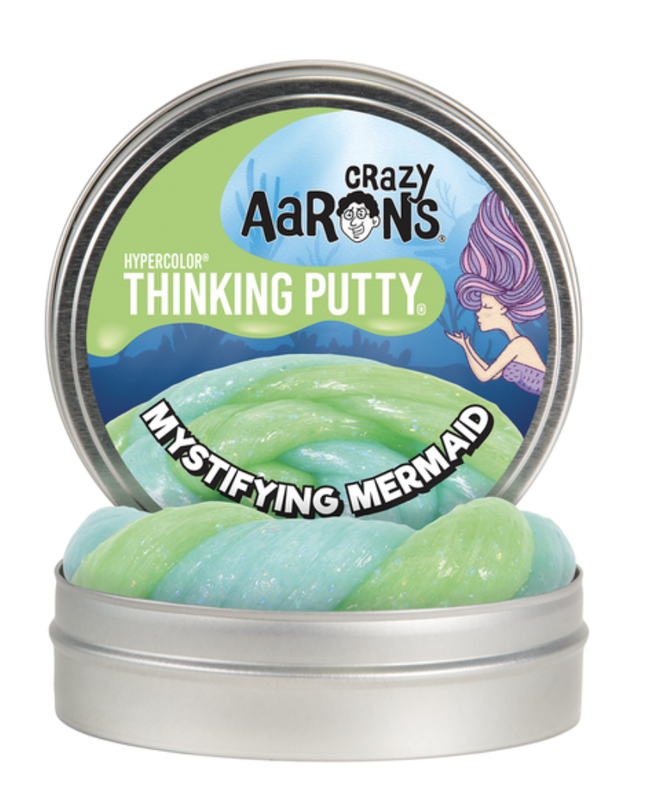 Deacon was definitely intrigued and I figured I would give another “putty” brand a try. We immediately got HOOKED!!! Not only is this great for relaxing/calming Deacon but it doesn’t crumble or dry up the way other brands did. I love that is easy item to pack when we travel and a perfect item for restaurant entertainment. 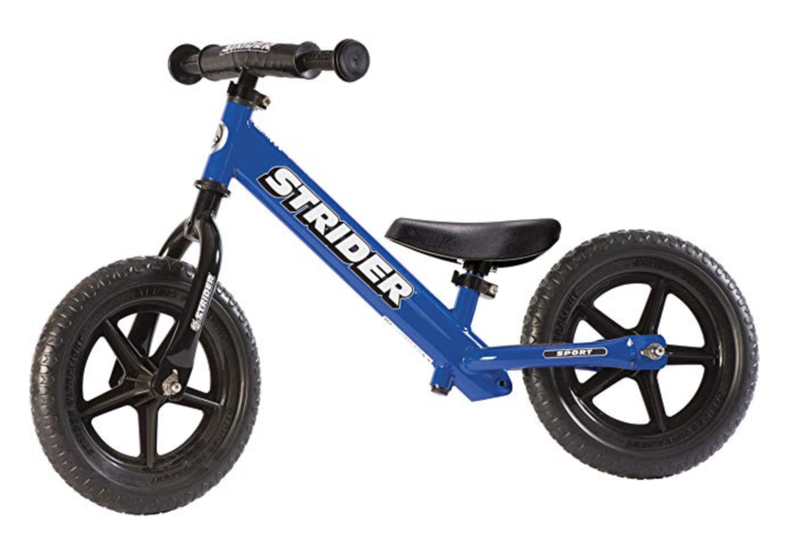 A balance bike is really just that. Before Deacon was born I saw them everywhere and I was that person who just thought “why”. I’m glad my husband suggested that we buy it for his 2nd birthday because it did so much more than help him develop his gross motor skills but it helped build his confidence. This was the first toy we bought that he “accepted” defeat but wanted to conquer the challenge. And when he did, it was cool to see him let go and just ride. With him being so comfortable balancing, the transition between it and a regular bike was seamless (he never had to training wheels). Like the Thinking Putty, the balance board is a new sensory item in our household. This purchase was initially for myself as it’s a great form of developing balance and stability in your legs. One day, Deacon was watching, and asked if he could try. Immediately, it became a hit and is a regular item he enjoys using. With our prior home having a play-set it came with swings and rings for Deacon to swing/hang from. During therapy he absolutely loved platform style swing and lycra swing. We made use of what had to keep cost down but I would have definitely purchased either one of these had we not already had the play-set at the house. I saw the benefits it provided Deacon in therapy and would strongly recommend them as a must-have it! Every piece was an investment to our family and to Deacon’s well-being. They have been items I’ve regularly recommended when people have asked about our story. The biggest lesson I’ve learned through this process is that it allowed me to become more present with Deacon and have FUN. Yes, parenting can be difficult especially when it comes to raising a child with development concerns. We can get caught up in all the questions, worrying and getting lost in the emotions. However, the most important factor to never lose sight of is having FUN!